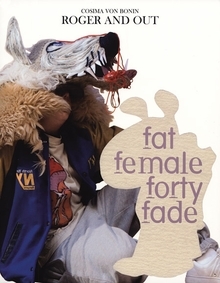 Text by Astrid Wege, Bennett Simpson, Karola Grässlin. Text by Manfred Hermes, Bennett Simpson, Ann Goldstein, Isabella Graw. Essays by Ingrid Shaffner and Bennett Simpson. Foreword by Claudia Gould. Edited by Naima J. Keith. Foreword by Thelma Golden. Text by Courtney J. Martin, Anne Ellegood, Howard Singerman, Ellen Tani, Malik Gaines, Bennett Simpson, Abbe Schriber, Jamillah James. Text by Erik Bluhm, Ann Goldstein, Bennett Simpson, Annette Leddy. Edited by Lisa Mark. Text by Bennett Simpson. Published by The Studio Museum in Harlem. 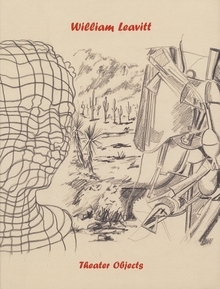 Widely regarded as one of the leading exponents of postminimalist art in the late 1970s, Charles Gaines (born 1944) is known primarily for his photographs, drawings and works on paper that investigate systems, cognition and language. Considered against the backdrop of the Black Arts Movement of the 1970s and the rise of multiculturalism in the 1980s, the works in Charles Gaines: Gridwork 1974-1989 are radical gestures. Eschewing overt discussions of race, they take a detached approach to identity that exemplifies Gaines' determination to transcend the conversations of his time and create new paths. 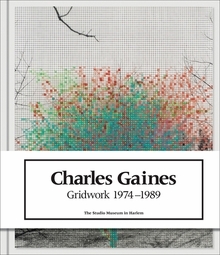 Charles Gaines: Gridwork 1974-1989 gathers significant examples from several of the artist's most important series, including 75 key works from the mid-1970s through the late 1980s. It features drawings and photographs from public and private collections--some of which were previously considered lost--and essays by leading scholars and curators. Hardcover, 8.75 x 10.25 in. / 168 pgs / 100 color / 70 duotone. 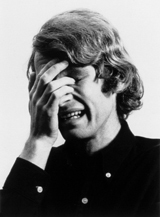 A pioneer of Conceptual art in Los Angeles during the late 1960s and 1970s, the painter, installation artist and theater director William Leavitt (born 1941) is above all an artist of narrative devices. Since 1969, his works in all the above media have employed abrupt fragments of popular and vernacular culture and depictions of modernist architecture to construct elusive narratives of cityscapes and environments. The culture and atmosphere of Los Angeles has played a significant role in Leavitt's handling of these themes; classic southern Californian motifs of ever-present artifice and almost washed-out brightness recur throughout his work. Surveying the artist's 40-year career, this volume includes sculptural tableaux, paintings, works on paper, photographs and performances from the late 1960s to the present. Leavitt has created a remarkable oeuvre that has influenced generations of artists, and this volume is both long overdue and highly anticipated. Paperback, 12.25 x 8.5 in. / 144 pgs / 105 color / 20 bw. 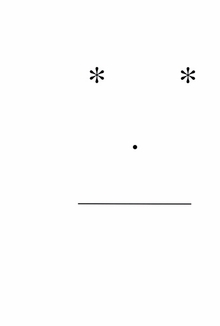 How much visual information is needed for image recognition? A pretty small quantity of data will go a long way for the brain and the computer, both of which take shortcuts for the sake of speedy comprehension. 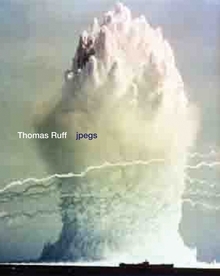 In the Jpegs series, German photographer Thomas Ruff exploits this imprecision in digital technology, locating online jpegs and enlarging them until the pixels emerge in a chessboard pattern of near abstraction. A closer look at these images reveals that, in addition to the degeneration of the image into a digital grid, the color and brightness generated by the algorithms of the compression also become visible. Many of Ruff's works in this series focus on idyllic, seemingly untouched landscapes, or conversely, on scenes of war and nature disturbed by human manipulation--subjects ill suited to disruptive pixelation, and therefore perfect for Ruff's purposes. Taken together, these images constitute an encyclopedic compendium of contemporary visual culture that also engages the history of landscape painting. A fittingly deluxe and oversize volume, Jpegs is the first monograph dedicated exclusively to this monumental series. Clth, 11.25 x 15 in. / 132 pgs / 65 color. Over the last 15 years, Cosima von Bonin has produced sculpture, photography, textile “paintings,” installation, performance, film, video and music--often combined in large installations. This generous survey addresses ideas of play, indoctrination, structure, improvisation, cultural and gender representations, identity and self-reflection--with both absurdity and humor. Paperback, 8.75 x 11 in. / 160 pgs / 100 color. Conceptions of “nothing” are one of the driving themes of twentieth-century art. One thinks of Piet Mondrian's reductivist approach to abstraction, Marcel Duchamp's contention that art resides in ideas, not objects, Mark Rothko's painterly reach for the sublime, Andy Warhol's affirmations of the vacuity of Pop culture. The Big Nothing will focus on themes of nothing, nothingness and negation in contemporary art and culture, surveying the legacy of these and other manifestations of absence made manifest in contemporary art. Artist include Gareth James, Jutta Koether, Louise Lawler, Richard Prince, Yves Klein, Bernadette Corporation, John Miller and James Welling, among others. Given its broad connotations, “nothing” provides general audiences with immediate access to looking at and thinking about the art of today. Part of a pan-Philadelphia cultural event initiated by the ICA, in which the city gives itself over to the art of nothing. Paperback, 6 x 8 in. / 80 pgs / 40 bw / 10 duotone. Describing Conceptual artist and musician Stephen Prina's work in 2004, the Harvard Gazette wrote, "Prina's artwork is full of unsuspected surprises, secret compartments that pop open to release compressed bundles of meaning or coiling strands of narrative." His work at the 2008 Whitney Biennial, for example, was conceived as "a traveling spectacle--a mini-Broadway-musical-on-the-road or circus," according to the artist. This concise retrospective volume presents work from 1979 to 2008, as well as installation views of Prina's recent one-person exhibition at the Staatliche Kunsthalle Baden-Baden in Germany. 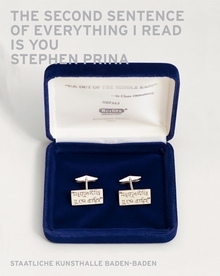 Born 1954 in Galesburg, Illinois, Stephen Prina divides his time between Los Angeles and Cambridge, Massachusetts, where he is a professor at Harvard University. A member of the band Red Krayola and a solo performer, Prina is represented in New York by Friedrich Petzel Gallery. Paperback, 8.5 x 10.75 in. / 176 pgs / 77 color / 24 bw. In 2007, Thomas Ruff completed his monumental Jpegs series, which explores the distribution and reception of images in the digital age. First gathered in a deluxe, oversized 2008 trade edition, the series is now available in this limited edition, signed and numbered by the artist. A onetime philosophy student who's willing to get her hands dirty, Lisa Lapinski makes elaborate sculptures that embody a kind of cognitive dissonance. "Nightstand" (2005), a room-size construction that debuted at the 2006 Whitney Biennial, reconfigures traditional Shaker furniture to suggest the frenzied psychedelia of religious ecstasy found in Shaker gift drawings. The piece, her most ambitious to date, took more than a year to complete; to acquire the skills necessary to build it out of walnut, Lapinski entered a woodworking program at a junior college outside of Los Angeles. "The retired engineers felt sorry for me, because it took me so long to catch on," she recalled, "but I can build my own kitchen cabinets now." Critic Bruce Hainley has credited Lapinsky, who received a Guggenheim fellowship in 2004, with "providing new thought about what sculpture might be." Hardback, 7.5 x 10 in. / 60 pgs / 50 color.